DDR + the Geezer, AKA Carl & Alexey Kotlyar (D.A.V.E. the Drummer Remix), A.N.T , D.D.R. & Trooper , MK303 and more. 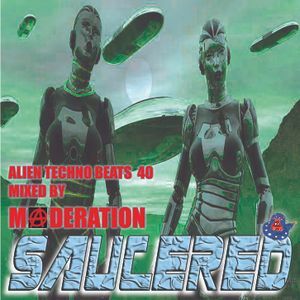 SAUCERED MIX 39 was by Nihilist ( Scum Like Us / Osmosis ) but isn&apos;t available on-line yet. Feel free to assault the slacker with requests to upload it ! !